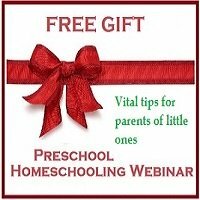 Reviews of preschool curriculums offering easy lesson plans for kindergarten and preschool teaching. We have personally used and enjoyed each curriculum reviewed below. The first three offer 'literature-rich' curriculums which encourage you and your children to cuddle up together and share read-aloud stories and picture books. The lesson plans are easy to follow, require minimal preparation for the hands-on activities, making each one simply a pleasure to use. The Benefits of a Preschool Curriculum might interest you too. 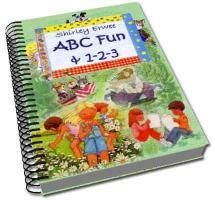 ABC Fun & 1-2-3 is a practical guide for teaching the alphabet and numeracy to preschool-aged and kindergarten children. This easy-to-use preschool activity manual has weekly preschool lesson plans at a glance, printable preschool worksheets, easy kids crafts, preschool & kindergarten themes, children's stories, nursery rhymes and more - to simplify your life and enrich the lives of your children. It is available in ebook format or printed copies. For less than $1 per week, you will have preschool ideas at your fingertips. Just open up the book and start! 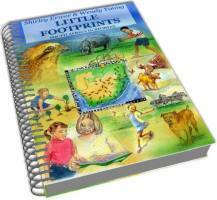 Make learning exciting and fun with Sonlight Curriculum's literature-based homeschool packages. is the preschool curriculum which we use, besides all their curricula for the higher grades, which we love. In our home the word "Sonlight" brings to mind cuddling up on the couch with mom and travelling to far off places in an exciting world revealed through a range of magnificent reference books and gripping stories which make up each Sonlight package. Sonlight Core A is a preschool curriculum package designed for ages 5-7, but my three year old enjoyed much of it too while she played in our company. The beauty of a Sonlight package is having so much so readily available when you need it. Each one includes a comprehensive instructor's guide, language arts, preschool science activities (my kids' favourite) timeline book, map and even a calendar for the kids! Sonlight also offers a Core P3/4 and P4/5 for younger children, designed to give 3/4 year and 4/5 year-old children joyful "preschool" experiences. Although we have not used these entire packages, we own many of the books and we have borrowed others from the library, so we can recommend them! You can explore Sonlight's amazing range of options on their website. Written by two experienced homeschooling mothers, for South African homeschoolers, this enrichment programme is designed to take you and your little ones on an arm chair journey around South Africa, exploring the fascinating people, animals and places that make up our beautiful land. Thank you Shirley! Here you are on my computer when I needed so many resources from your cite. I have been thinking about homescholing my four kids for sometime. I also have been wanting to bulid a web site of my own for sometime and I found it here to. Thank you! I will bookmark this page. God bless you. I just wanted to let you know how much I appreciate all the time and effort you have put into the things I have found on your web site. 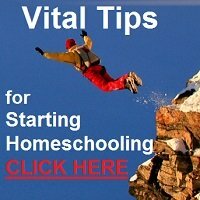 I am raising my twin great granddaughters and will begin a more regular home schooling routine in the new year, [they will be four by then] and your information is invaluable,I thank God that I found this site and for your faithfulness in making it available to all of us homeschoolers!! Keep up the marvelous work, God Bless you and your family!